In its strategic Krone 2020 plan, the German trailer and semitrailer manufacturer Krone has gone one step further towards the consolidation of its brand in Spain and is positioning itself as one of the main players in the industrial vehicle sector in the country. The division of industrial vehicles of the Krone brand, with an annual manufacturing of 50,000 units and its vehicle and component factories in Germany and Turkey, reinforces its presence in Spain. Through its subsidiaries, Krone Trailer Spain S.L.U. 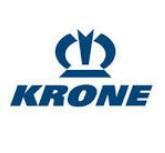 and Krone Fleet Spain S.L.U, Krone will expand its range of products and services. Within the framework of its development plan that began 16 years ago in Spain, the brand has expanded its commercial network with the aim of serving and providing a more direct service throughout the country by reinforcing its official services and repair network. Our goal is to consolidate our leadership role in the niche of temperature controlled transport (Cool Liner), as well as grow in other sectors such as general cargo (Profiliner, Megaliner, Dryliner) and container transport (Boxliner). We trust in our team, which has a presence in Zaragoza and Valencia, and in our sales team, which is spread throughout Spain, to guarantee the success of our development plan and offer the best service to our customers, said Mr. Rafael Sánchez and Mr. Roberto Asin, who are responsible for the company’s operations in Spain. Mariscal & Abogados has been the firm selected by the group to execute its consolidation plan in Spain. The Spanish firm, having offered legal advisory services through its international departments since 2001, has extensive experience in advising clients in mergers and acquisitions operations — especially with those of a cross-border nature. In the Krone case, the transaction has been carried out through the sale of assets. The tasks of the firm included, but were not limited to, the following: legal and fiscal due diligence, the creation of the vehicle company, the restructuring and integrating of several companies of the group and the preparation of the agreement on a final closing calendar. Moreover, Mariscal Abogados acted on the negotiation of the price adjustments based on the information and business development, obtained the appropriate administrative authorisations, prepared the sale of assets contract and facilitated negotiations with the selling party.